What Data does Chrome Collect? But Facebook isn’t the only popular website gathering up your data by the truckful. Google Chrome, which topped 1 billion worldwide users in 2015 and is now the most popular web browser on the planet, is pretty much watching your every move when you’re online. But what if you don’t want all that information zooming back to Google headquarters to be broken down and analyzed by Google’s array of algorithmic supercomputers? There are ways to handcuff Chrome’s data collection tools to keep yourself safe and secure while still getting the best out of the Chrome experience. Ostensibly, Google says all this information helps it make your experience online more enjoyable and personalized. Whether you agree with that or not falls directly into the debate about online data protection. 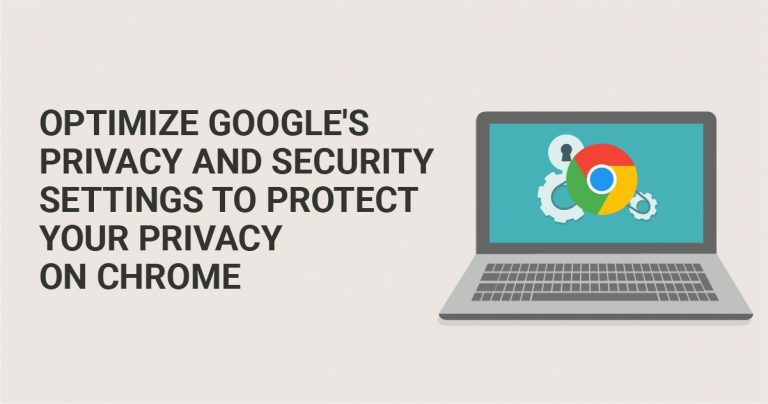 Fortunately, Google believes in your right to privacy on Chrome and is bound by certain laws to give you the opportunity to share as little data as you want. The first of these is the right to browse privately, which means you don’t leave a trail behind of cookies and browsing history on your computer. This can be accomplished by click the three vertical dots icon at the far right of the browser window and selecting “New incognito window”. If you’re using any Google service that requires you logging in, Chrome starts tracking your data instantly. To undo this, click the three-dot “Menu” button and select settings. Right near the top, you’re given the option to “Disconnect Your Google Account”. That gives the command to Chrome to not associate your Google account with anything you access. If you don’t use many of Google’s services, that’s a great idea. However, a day or two spent browsing this way will make you appreciate all the little things Google Chrome does with your data; like holding your bookmarks, starting Google Maps from your current location, and autofilling entries for things like passwords and payment information. If you want to pick and choose what information Chrome sends to Google, click on the “Advanced sync settings” feature right next to “Disconnect Your Google Account”. This will let you choose what data types are synchronized with your Google account and which are not through a series of easy-to-use click boxes. Things like apps, extensions, passwords, and bookmarks populate this list. If you want to remove Google’s data-gathering tendencies completely but still use Chrome’s great features, it’s time to consider investing in a Virtual Private Network (VPN). The best VPNs will cost you a few dollars a month, but in exchange you get as complete anonymity on the Internet as is possible. You’ll need to do a little research on VPNs for Chrome to determine which works best. Once you have it, you use it to connect to another server in a remote location. Most VPN providers have servers all over the world, but for purposes of speed, it’s best to pick one at least in the country you are accessing the Internet from. Once connected, the VPN will form an encrypted “tunnel” between your computer and the remote VPN server. No outside party, including Chrome, can see what data is being transmitted. Once at the server, your page requests or any other web activity will be decrypted, assigned a new IP address, then sent on to the Internet. The same procedure will happen in reverse as data and pages are requested. The information will be sent to the remote server, encrypted there, and sent to your computer in the ‘tunnel’. Neither Chrome nor any other third party can connect the Internet browsing to you. And since the more reputable VPN companies do not keep blogs of your sessions, your security and privacy are strengthened even further. Olivia has written and edited for big publications and magazines. Her previous position in a cybersecurity firm gives her the edge on developing online security trends.